Community One Blog | Bridging people, one community at a time. The Community ONE 2014-2015 school year was one for the books! Now that summer is upon us, we thought it would be a good idea to take a look back at some of our most memorable sessions. At one of our favorite events, students at J.O. 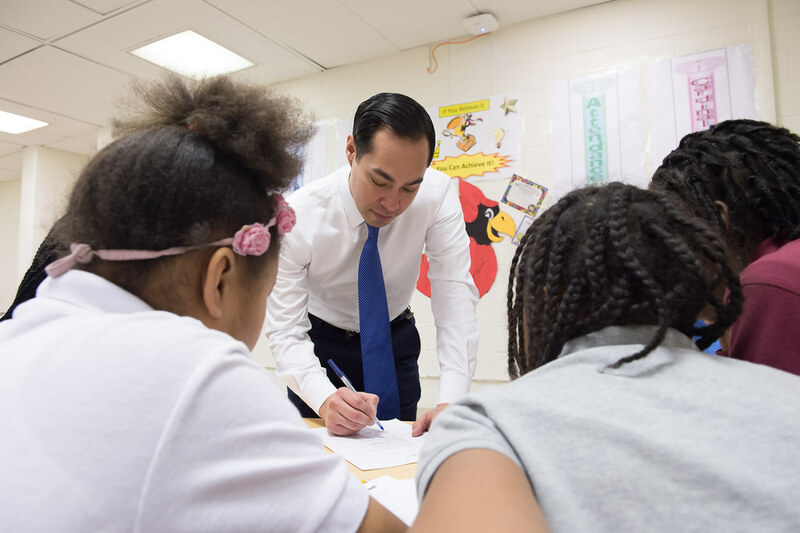 Wilson Elementary School had the honor of interacting with the Secretary of the Department of Housing and Urban Development, Julian Castro. Secretary Castro told his story of growing up in Texas, where he and his twin brother came from humble beginnings. The two were the first in their family to attend college. To teach the students about his role in the administration, Castro asked the students to build communities, choosing what businesses and establishments they wanted to inhabit. The Secretary then approved and signed off on communities- some of which included police stations, hospitals with free health care, and grocery stores. At another outstanding event, Jim Shelton III, the former Deputy Secretary of the Department of Education, shared his experiences with students at J.O. Wilson. Shelton explained that a large portion of his work as Deputy Secretary was to make policy decisions with senior staff at the Department of Education. When asked “what is the hardest part of your job?” he took a deep breath and answered that it was when people advocated against his decisions and the media covered the controversy. As an activity, the students were divided into groups and given specific policies to discuss among themselves. They then had to convince their fellow colleagues to choose their policy. In addition, this year we received national attention! Community ONE was selected by National Geographic as part of their “Killing with Kindness” campaign. During the special showing of “Killing Jesus”, the channel highlighted non-profits that were dedicated to showing others kindness everyday. Thanks NatGeo! 68% of students this year said they were more interested in a career they learned about from a Community ONE session. 62% of Students are now considering going to college who were not considering prior to Community ONE. 87% of Students said that due to Community ONE sessions, it is easier to talk to their parents about their career goals. We would like to thank all of our speakers and students for their participation over the past several months. We look forward to learning and making more memories in the upcoming year! If you are interested in learning more about volunteering with Community ONE or making a donation, please visit our website at www.communityone.org. 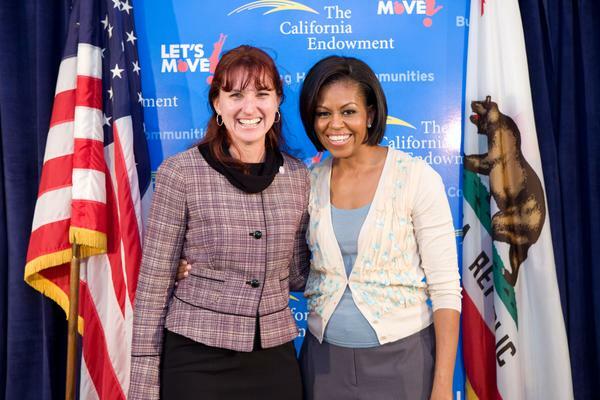 Joan Sanders (left) pictured with First Lady Michelle Obama. 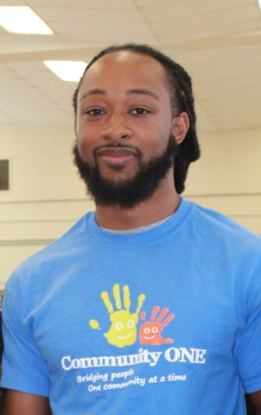 We are honored to recognize Keisan Griffith-Roberts as February’s Star of the Month! Keisan became a board member of Community ONE, Inc. upon the incorporation of the organization in 2013. As a board member and advisor, Keisan donated the highest contribution to the organization to date and spent his time volunteering at events. Keisan has given much to the world around him, he co-founded annual events aimed at raising money and awareness for issues like HIV/AIDS, Pediatric Care and Sickle Cell Disease. In his professional life, Keisan was accepted into the Operations Leadership Program at the United Technologies Corporation, most notably recognized as a front runner in Aerospace Systems. Before being accepted into the competitive leadership program, Keisan held leadership roles in the Graduate Student Assembly, Graduate Business Student Council and School of Business SCM Student Association at Howard University. He became a member of the Beta Gamma Sigma while completing his MBA in Supply Chain Management at Howard University after pursuing a Bachelors degree in Finance. Sadly, Keisan departed this earth on December 26, 2014 and will be greatly missed. He was an advocate for educational excellence and believed in giving back to the community. Keisan’s generous heart and sense of humor will go beyond his close friends, but will touch countless hearts for years to come with the creation of a book scholarship at his alma mater. Thank you Keisan for always being a Star in our eyes! With Halloween right around the corner, families are getting all geared up with costumes, pumpkins, and parties. But with all of the excitement, it’s still important to remember safety first! We’ve compiled some of our favorite safety tips for this weekend, and hope that you have a happy, safe Halloween! #1 Avoid trick-or-treating alone-This is especially important for younger children, but there is always safety in numbers. A parent or guardian should definitely accompany children looking to snag some treats for their collection. #2 Look before you cross– Once the sun goes down, it’s even more important to be careful about going door-to-door and crossing streets. Adults should make sure children know not to run into the street, and to make sure traffic is clear before entering a crosswalk. #3 Restrain pets– If Spot gets really excited when guests come over, it would probably be a good idea to make sure he is out of the way so that he doesn’t startle trick -or -treaters, or even worse– run away! #4 Choose a brightly colored costume-Drivers will be able to spot a bright costume easily in the dark. If your costume isn’t a brighter color, you can use reflective tape, stickers, or flashlights to light the way for yourself and drivers! #5 Inspect the treats– Make sure children don’t sneak any candy until they get home and an adult has tossed out any unwrapped or anything suspicious-looking. If it doesn’t seem right, it’s probably not! As the Fall season gets underway, days get cooler and our clothes get warmer. We look forward to football and Thanksgiving, but we often forget about those who are less fortunate than us, and have no homes or families to go to during these times. Homelessness itself is a very serious issue, but can be especially difficult for children. According to this report, 1,258,182 homeless students were enrolled in American public schools during the 2012-13 school year. Wrap your head around that number: 1,258,182. Now imagine what that experience is like- you and your family having no place to live, and yet still getting up every morning to go to school. Most of us probably could never imagine this life, but unfortunately this is a reality for more than a few kids. On top of the larger issue of homelessness, one of its side effects are poor performance in school. The stress alone of being homeless can have several detrimental effects on how a child does in school. Homeless students are prone to learning disabilities, emotional-behavioral disorders, anxiety, and depression. Make no mistake, children that live in happy, healthy homes can struggle with these issues as well, but are much less likely to. A comfortable place to do your homework that has heating and cooling, food in the fridge, and shower to bathe in are all basic amenities that many students probably take for granted, but others would give anything for. So what is being done to address this problem? Children’s advocacy group First Focus and several other organizations are pushing their support for the Homeless Children and Youth Act, which would broaden the current definition of homelessness to include children who are temporarily staying in hotels, motels, or with others. 81 percent of homeless children do not fall under the current definition, therefore leaving them ineligible for certain services. Across the country, Americans are taking notice well. These Ohio students spent a night outside with few personal items to feel what homelessness is actually like, and raise awareness. In San Francisco, the nonprofit Hamilton Family Center has a goal of raising $6 million over three years to add to city funding. In addition, the organization plans to meet with schools with the highest homeless student populations to hopefully reach families before or right after they become homeless. Community ONE believes that all children should have the right to excel. It is our goal to expose students to people who have overcome various challenges, and still ended up with successful careers and lives, no matter where they came from or where they lived. There’s a lot of talk about how and why people volunteer with a full-time job, families, social lives, etc. Volunteering can be a great way to give back to your community and do something you’re passionate about. These are a few secrets on how to schedule your volunteer jobs, while not stressing out about time and making the most of your experience. If you find an amazing opportunity to help out with something you’re passionate about, but they are asking for more time than you can give. Ask. Again, you are giving your time, for free, to help them. It’s very rare that they will say no to you flat out. If you can give one day/week or per month, it’s better than nothing. And, it still gets you involved on your schedule. Volunteer opportunities can lead to jobs or awesome relationships! Jobs and people that you’ll love. So, network! Network with any nonprofit or volunteer event you want and make the most out of it. It will lead to more volunteer opportunities or paying salaries. Don’t be afraid to make your time useful to you, as well as the community. Knowing someone in the organization or the event you want to volunteer with will make your life much easier. If you’re only available on the weekends or nights, events are great to take part in. Becoming a volunteer at a race or a helping hand for a charitable event is a huge help, and isn’t a big responsibility. An event could even be a canned goods or coat donation. Events only happen once in awhile so your time would only be for the certain event! AND you’re still networking and helping out the community. With everything else in this world, go virtual! Are you great at updating your Twitter, Instagram, and Facebook?! Do you write a blog? Are you great at organizing data or an email box? These are all great qualities to have in today’s world. These are little tasks that you can help out organizations with. It’s fun and helpful. How do you make volunteering work into your schedule? This month we are pleased to honor Heather Raspberry as our Star of the Month! Heather has extensive experience in her field, as well as a huge heart for her community. She was appointed Executive Director of The Housing Association of Nonprofit Developers (HAND) in March of 2012. Prior to joining HAND, Heather held leadership positions within the marketing and communications area in the public, private and nonprofit sectors for ten years. Most recently she worked for Enterprise Community Partners, Inc. where she developed and executed national and regional public relations campaigns that advanced the business and philanthropic priorities of the organization and its subsidiaries. In 2009, Heather was selected by the District of Columbia Family Court as a court appointed special advocate (CASA) and trained to represent the best interest of youth in foster care; and in 2012, she received CASA’s Volunteer of the Year Award. She was recognized by the Coalition for Nonprofit Housing & Economic Development in 2013 as a Rising Leader in Community Development; tapped to participate in the 2013 NTL Institute’s Leaders of Color Program; and received Affordable Housing Finance’s Young Leader award in 2014. Heather’s other engagements include co-founding the No Murders Project; administrator to the Saturday Leadership Academy for the 100 Black Men of Greater Washington, D.C.; sitting on the program committee of the Virginia Housing Coalition, Bank of America’s Neighborhood Builders Selection Committee and the BB&T CRA Steering Committee. 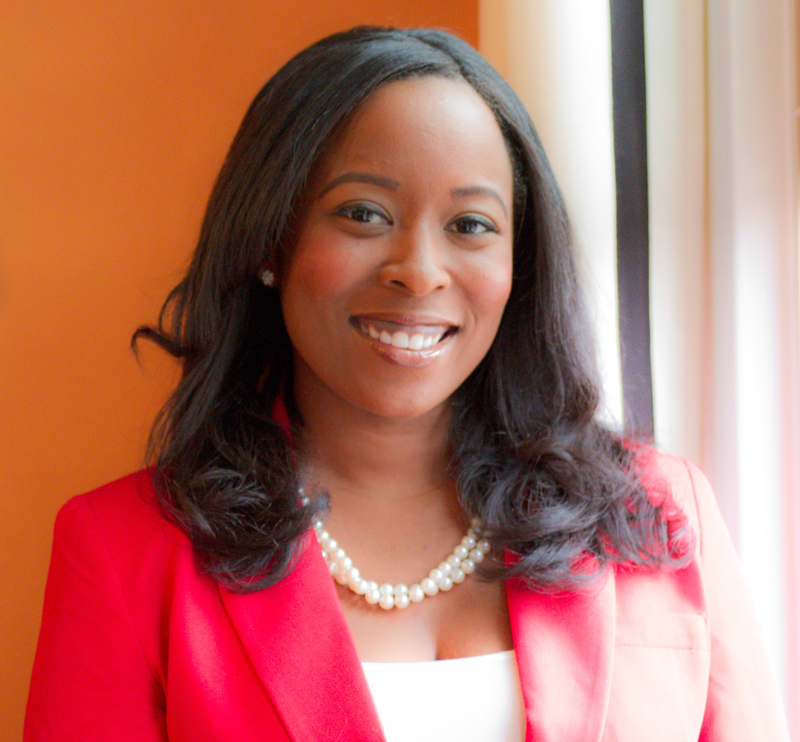 Heather holds a dual bachelor’s degree in public relations and business management from Hampton University. You can see more about HAND here.